Lastolite By Manfrotto, the world’s leading manufacturer of backgrounds and lighting control systems has announced three new accessories for the 1.8m x 2.15m (6’ x 7’) HiLite Background. 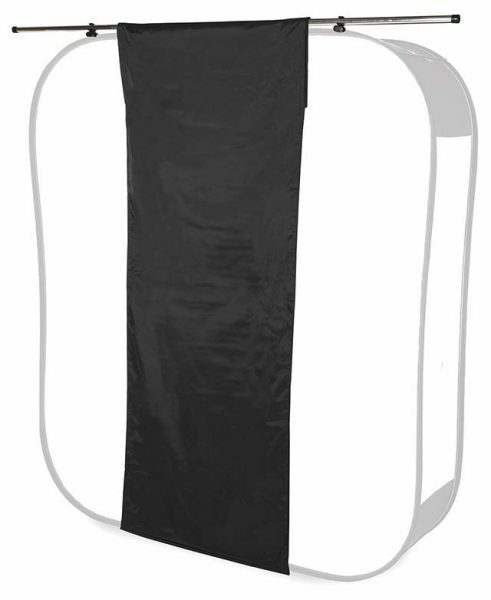 The HiLite ‘illuminated’ Background provides photographers with a truly portable high key solution. When launched, it revolutionised photographers approach to high key and quickly became the go to product for image makers around the world. Photographers soon realised that the HiLite Background could also be used as a softbox – an incredibly large full-length softbox, offering beautiful soft light. However, like any softbox, photographers need to control the shape, direction and intensity of the light to unlock the full range of creative opportunities. With this in mind, Lastolite By Manfrotto have launched three new creative accessories for the 1.8m x 2.15m (6’ x 7’) HiLite, the Window Voile, Shaper and Shapers and Masks. 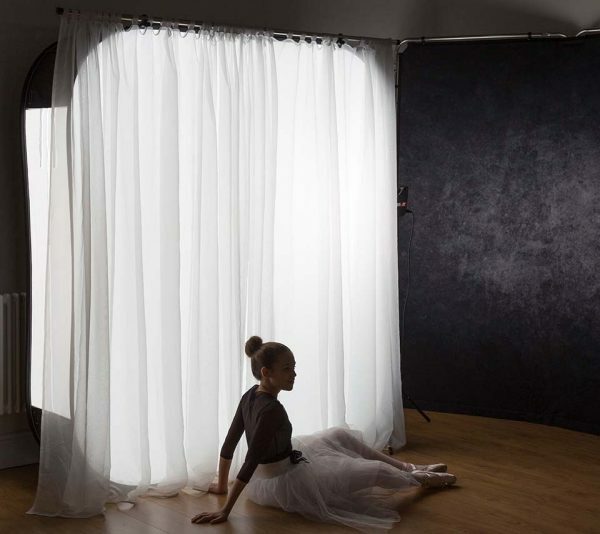 The Window Voile effectively turns the HiLite into a huge head to toe window light, allowing photographers to create the illusion that the subject is looking out through a large window or doorway. Because the voile hides the HiLite behind, it can also appear in the final shot if appropriate to confirm the window style setting. Whether in a darkened studio or out on location, the photographer will know they always have a window available to capture that classic look. The voile attaches to the Hilite very easily – it is supplied with a collapsible aluminium pole that simply clips to the top of the HiLite and the voile then hangs from the pole like a curtain. Utilising the same collapsible aluminium pole as the voile, the Shaper is an 86cm wide opaque black panel that hangs on the pole from the top to the bottom of the HiLite and effectively masks the light from the Hilite. The shaper can be moved to any position along the aluminium pole, allowing the photographer to create a single strip of light or split the light into two strips on either side of the shaper panel. Each position offers a different lighting effect on the subject allowing the photographer to be as creative as they wish. The shaper panel can also be used to mask the photographer when shooting with the HiLite directly behind them and with the subject in front. By standing in front of the shaper the photographer can be sure their silhouette does not appear as the catch light in the subjects eyes. The Shapers and Masks consist of a set of three Shapers and three Masks. 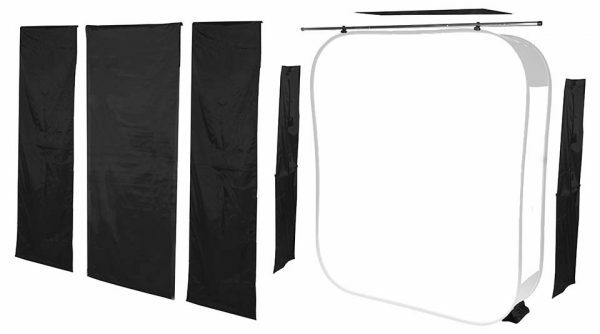 The three Shapers (1 x 86cm wide, 2 x 66 cm wide) allow the photographer maximum control of the width of the strip of light leaving the HiLite softbox. This set also includes three masks, which attach to the top and the sides of the Hilite. These ensure no light is spilled from the top or the sides of the HiLite giving the photographer complete control. These three innovative new accessories give the photographer creative control of the light when using the HiLite as a softbox.